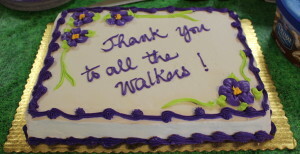 The Walking Club had their recognition party yesterday. From Jan 2015 to June 2015 the senior walkers totaled 3,685 miles. 10 of them walked over 150 miles. One senior walked 517 miles! They walk for their health and The American Cancer Society. 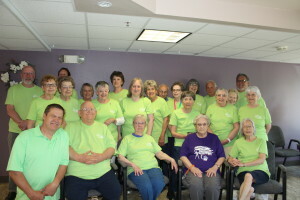 For every mile they walk Boulevard Park Place donates $1.00 to the American Cancer Society. Now that is called Teamwork!